1What does the programme look like? 3How does the programme work? To create organisations where everyone can achieve their potential, it’s critical that those with aspirations to lead understand how to create an inclusive environment. This one-day in-house tailored programme is designed to help those on a leadership journey at your organisation understand their potential and responsibility to be inclusive leaders. Our inclusion experts work closely with your organisation to create a day that’s embedded in the work you do and your culture, providing participants with an understanding of best practice as well as space to collectively define what inclusive leadership looks like for them. In a competitive market, jobseekers are increasingly assessing an organisation’s diversity credentials when deciding where to work. Delivering this programme will differentiate your offering and visibly demonstrate your commitment to inclusion in order to attract the best talent and empower them to be inclusive leaders. The programme covers a range of best practice areas, including: exploring the challenges LGBT people face at work, stepping up as an ally, challenging discrimination, understanding privilege, and being an authentic leader. Sessions take a variety of forms to ensure the day remains engaging and inspiring, and our facilitators create space for participants to explore and discuss concepts to understand what they mean for them. Throughout the programme, the term ‘ally’ is used inclusively to encourage those in the room who do identify as LGBT to be allies to other members of the community. Throughout the day, the insights and ideas shared by participants are recorded by facilitators. These ideas are then used to create an Inclusive Future Leadership guide that is specific to your organisation. It summarises the content of the day, as well as participants’ input, to create a resource that can be used in training and induction across your organisation. In addition, those who participate in the day will return to different areas of your organisation with both the confidence and the concrete actions to create more inclusive cultures. Previous participants have gone on to run team learning sessions, set up their own network group events and run fundraising initiatives for LGBT organisations. This is a one-day programme facilitated by Stonewall and designed in collaboration with your organisation. It’s designed to be delivered for up to 150 people. Our content can be tailored to reflect the culture of your organisation and engages your team as speakers. It’s designed to be delivered at a defined point for a cohort of employees on a leadership journey, for example as part of a graduate programme or a management training programme. 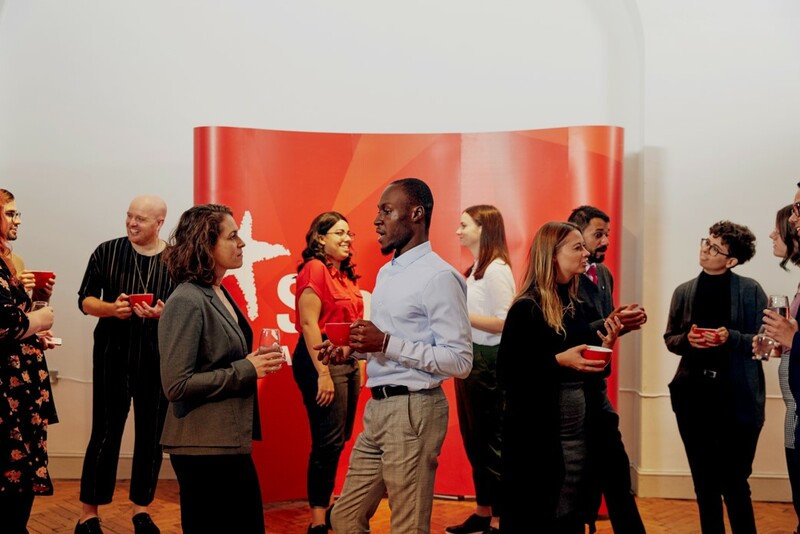 Stonewall provides expert facilitators, programme development, production of the Inclusive Future Leadership guide and a logistical coordinator. Venue, AV and catering costs are usually provided by your organisation. We offer tiered pricing structures for this programme based on the number of participants and the level of tailoring you require. We also welcome interest from groups of similar organisations looking to create a cluster programme for their sector. We’d be delighted to work with you to understand how this programme can embed a culture of inclusive leadership at your organisation. Please fill in the form below and our team will be in touch to understand your requirements and create a bespoke proposal.